From a hilarious send-off serenade by co-worker Ryan Smith — a parody sung to the tune of Barry Manilow’s “Mandy” — to a part tribute/part roast by other fellow CGA staffers, to a heartfelt toast from boss Ed Mate, to a tremendous turnout for the festivities, Gerry Brown, Laura Robinson and Ann Bley were sent into retirement in high style Wednesday night at Pinehurst Country Club. A broad cross-section of the Colorado golf community turned out to bid adieu to the three key retiring CGA staff members, recognizing jobs well done. Seldom do three top staffers in one Colorado golf organization retire within months of one another. But not only is that the case late this year for the CGA, but the three have been employed by the CGA/CWGA for a combined total of 46 years. 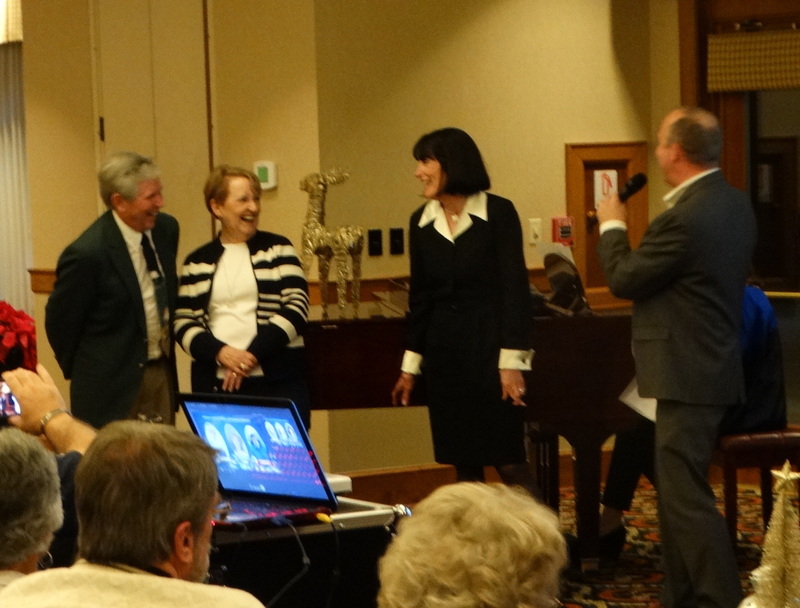 About 175 people showed up for Wednesday’s festivities, in honor of Brown, the CGA’s director of course rating and handicapping; Robinson, the CGA’s managing director of membership and integration — and former CWGA executive director; and Bley, the association’s director of finance. Bley retired at the end of August after 17 years on the job, while Brown (26 years at the CGA) and Robinson (three years combined at the CWGA and the CGA) are following suit at the end of the year. In addition to fellow staffers saluting the three in videos — and taking good-natured digs — even former CGA employees joined in on the fun. That included former CGA executive director Warren Simmons, who hired Brown back in 1992. In turn, each of the retirees took a few minutes to fondly recall their days at the CGA/CWGA, share a laugh or two, and vow to spend their fair share of time on golf courses in retirement. That will include tee times and stays at The Broadmoor Resort — going-away gifts from the CGA. Several photos from Wednesday’s festivities accompany this story.